Among the undistinguished suburban villas on Cypress Road, Newport, is a gem of an archaeological site. It was discovered there in 1926, while foundations were being dug for a garage. 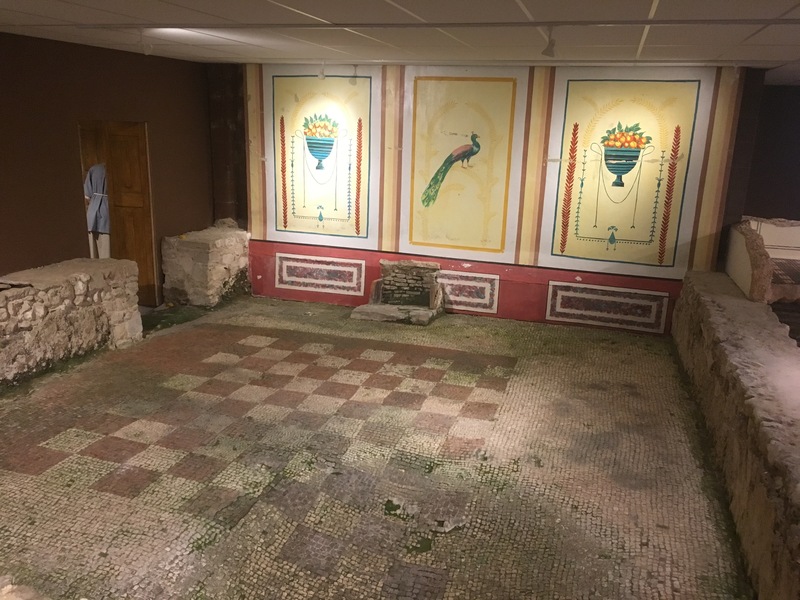 The extremely well-preserved remains are of a Roman villa that is thought to date from the late 270s, long before the existence of any town on the Isle of Wight. It was a single-storey building with a corridor, or possibly open verandah, at the front, giving access to a series of rooms and to wings on each side. 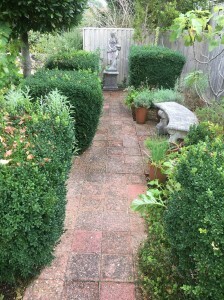 It faced southwards onto a courtyard that would have been enclosed by farm buildings. Without the modern streetscape, there would have been pleasant views across open country to the surrounding hills. The plan of the house can clearly be read on the ground, as the stone bases of the walls are virtually intact. Above them, the timber frame of the house was infilled with wattle and daub, proofed with limewash and – it seems – painted red. The building was roofed with heavy slabs of Bembridge limestone, many of which, pierced with single holes for nails, were found on the site, along with the arched tiles that once finished the roof-ridge. Fragments of window-glass reveal that at least some of the windows were glazed. For others, wooden shutters probably sufficed. The interior walls were brightly painted, and some of the rooms had elaborate mosaic floors. 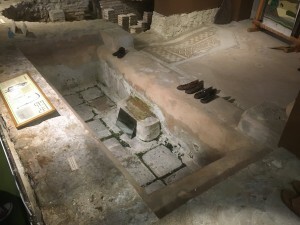 As if these were not luxuries enough, the entire west wing was a purpose-built bath-house, with the classic sequence of a frigidarium (‘cold room’) leading into a tepidarium, sudatorium and caldarium (‘warm room’, ‘sweat room’ and ‘hot room’). 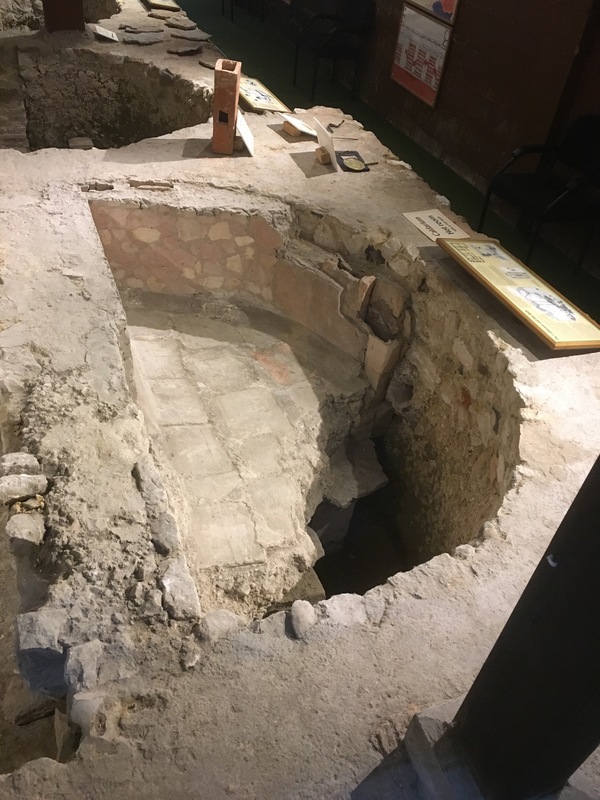 These last three rooms were heated by an underfloor hypocaust, which depended on the stoking by a slave of a furnace outside. The pools are of similar size to a modern hot-tub – and opportunities for serious pampering. The exterior walls of the bath-house wing may have been entirely of stone, while the three heated bathrooms were crowned by white plastered domes (domed ceilings were necessary to reduce condensation), constructed from the tufa blocks that were discovered in abundance by the excavators. The front room of the opposite (east) wing also benefited from underfloor heating, with hot air circulating from a separate furnace. It is extraordinarily easy to make a mental leap back in time, to see this place as it once was and to marvel at the level of luxury that was enjoyed here. The owners were no doubt indigenous Britons who had flourished under Roman rule and taken full advantage of its opportunities. 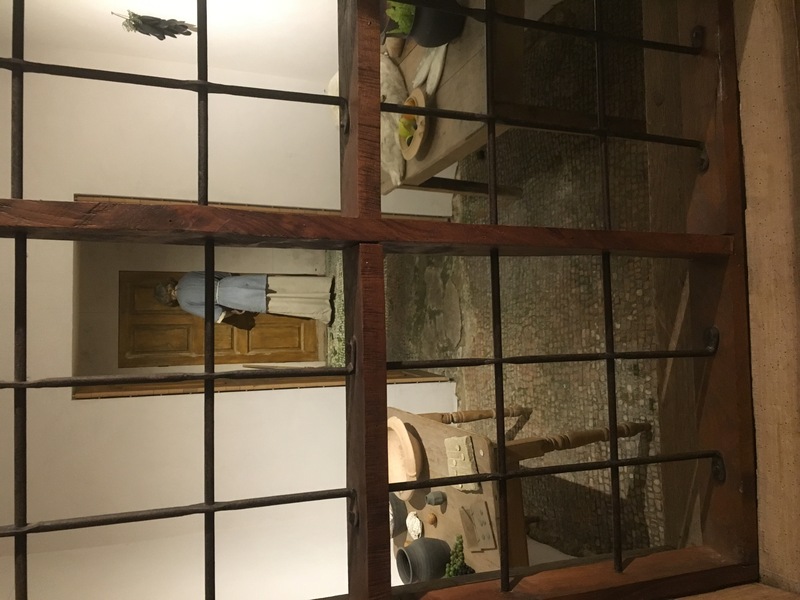 Within about fifty years, however, the way of life here had declined to such an extent that fine mosaic floors had been taken up, and the grandest room of the house turned into a smithy. 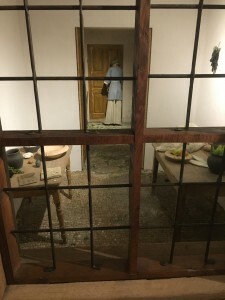 In the ensuing century, it is perhaps Saxon or Jutish raiders who were, literally, the death of the place, for the skull of a woman in her early thirties, with two huge cracks in it, was found in the corner of one of the rooms, into which her decapitated head had been heartlessly tossed.